From the makers of the award winning SkyView® app comes a stunning new way to discover over 20,000 satellites day or night. Satellite spotting is now for everyone. 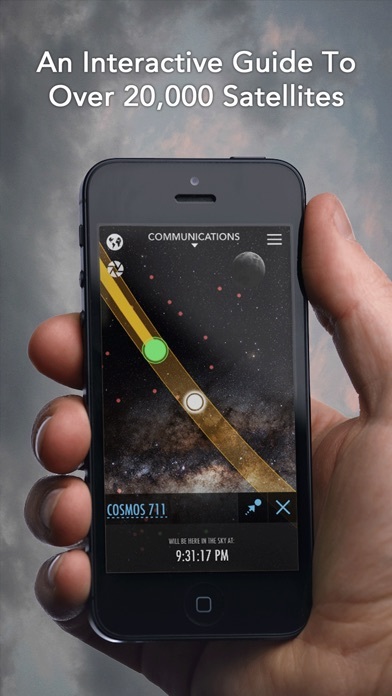 Just point your iPhone at the sky to identify the International Space Station, Hubble, GPS satellites, and thousands more as they soar above your location. 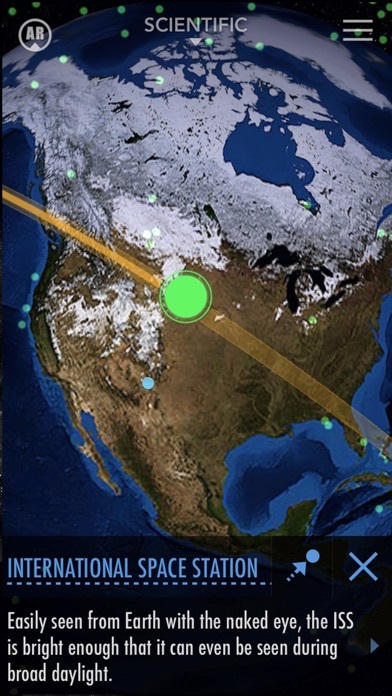 Discover new and interesting satellites in Earth mode. Pan around the Earth, touch satellites over distant countries, zoom-in for a close-up view, and take wonderful photos to share with friends. Features: • Simple: Point your iPhone at the sky to identify satellites passing overhead at your location. • Interactive: Pan around Earth to discover new satellites and zoom-in for a beautiful 3D close-up view. 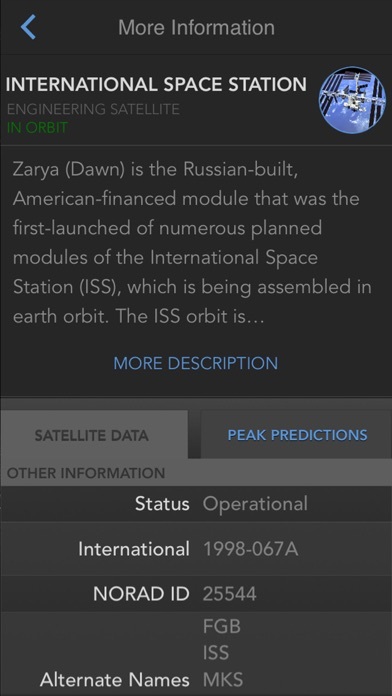 • Customizable: Build a list of your favorite satellites and filter other satellites from your view. 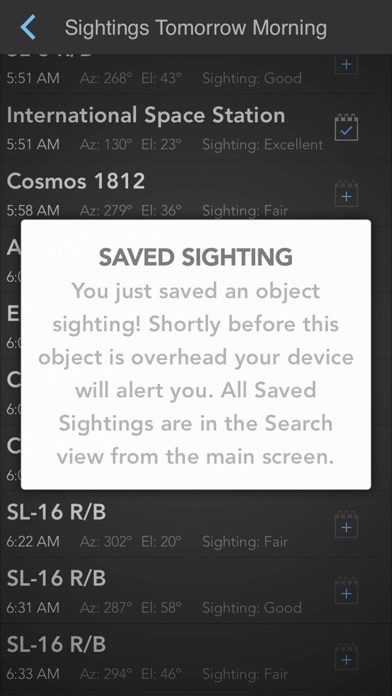 • Sighting reminders: Quickly schedule reminders to notify you when a visible satellite will be in the sky above your location. • Night friendly: Preserve your night vision with two easy-access night modes (red or green filters). • Social: Capture and share beautiful images with friends and family on social networks. • Space Junk: Uncover thousands of rocket bodies and other space debris that orbit Earth. • Mobile: Does not require a data signal or GPS to function, take it anywhere. 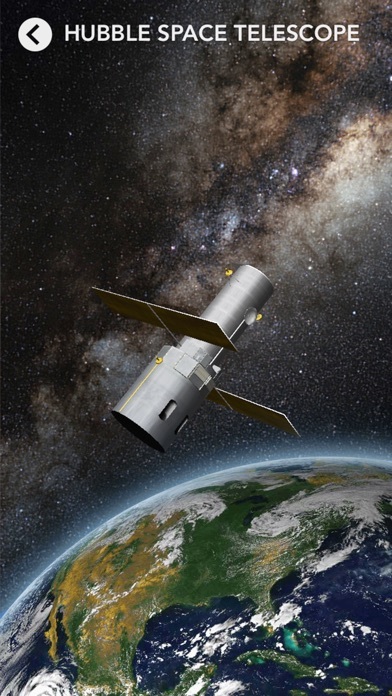 • Comprehensive: Includes 20,000 satellites with thousands of facts, descriptions, tidbits, and satellite images.